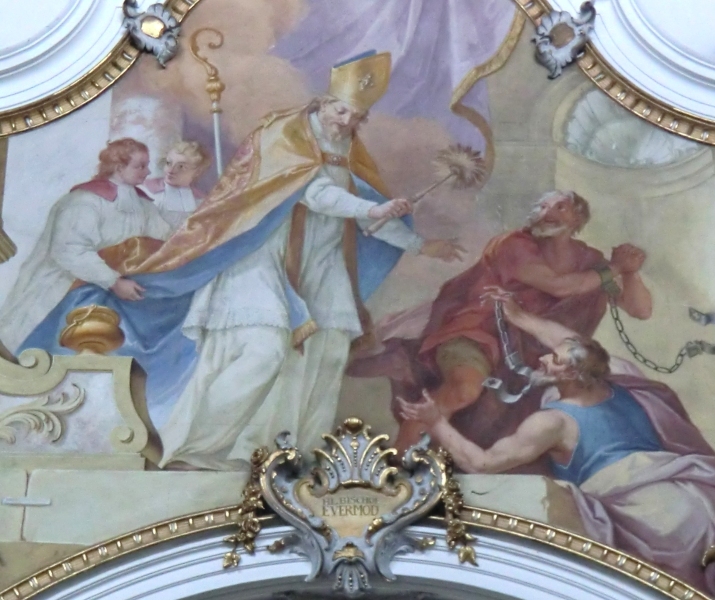 Today we celebrate the memoria of Saint Evermode († 1178); one of Our Holy Father Norbert’s closest friends and disciples, he was also the first of a long line of Premonstratensian bishops of Ratzeburg and is credited with the conversion of the Wends. “a man after his own heart. Norbert’s spirit so rested in him that he confided to Evermode where he wanted to be buried after he died and ordered that he should never leave him without returning”. True to Norbert’s direction Evermode followed him everywhere and was present at all the key moments of Norbert’s life as both priest and later archbishop. 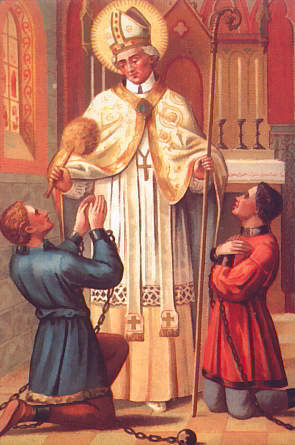 Evermode was present at the death of St. Norbert and was deeply affected by the death of his dear friend. In iconography Evermode is often depicted with tears in his eyes; tears shed for his friend. From 1134 to 1138 he was the provost of the Abbey of Gottesgnaden in Saxony, and, from 1138 to 1154 provost of St. Mary’s in Magdeburg. 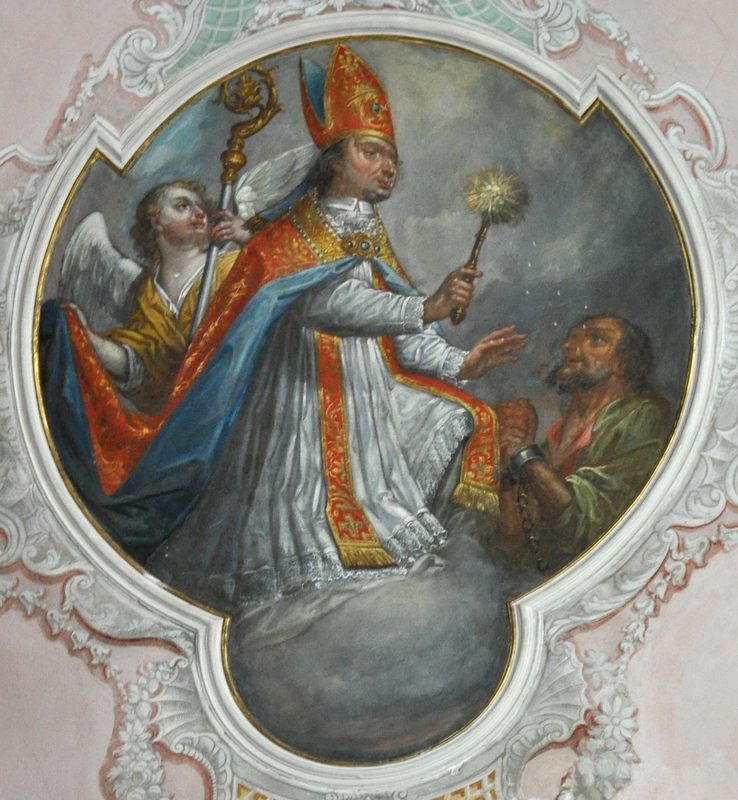 In the year 1154 Evermode was appointed the first bishop of the newly founded diocese of Ratzeburg. A cathedral chapter of thirteen Norbertines surrounded Evermode and so the Premonstratensians were firmly established in the diocese. As bishop he was known above all else for his apostolic zeal for the conversion of the pagan peoples of the north, most notably the Wends. So successful were Evermode’s attempts at their conversion that he acquired the title ‘Apostle of the Wends’. The efforts of Evermode and the Premonstratensians with their conversion have earned the Order the accolade of being the only religious order to be credited with the conversion of an entire nation. Evermode was also known for his keen sense of justice. When Count Henry of Ratzeburg mistreated his prisoners Evermode pleaded with the Count for their humane treatment. God too heard Evermode’s plea for the imprisoned and worked a miracle. On Easter Day when the time for the asperges came, Evermode sprinkled the prisoners with the holy water and immediately their chains were broken. Saint Evermode, Apostle of the Wends, Beloved Disciple of St. Norbert died on this day in 1178. Let us continually invoke his intercession for his fellow Premonstratensians, for those afflicted with the loss of those they love and for those deprived of justice. O Lord our God, you blessed St. Evermode with the gift of faithfulness and made him a zealous bishop of your church. Through his intercession grant that we may persevere to the end in good works and ever be filled with zeal for the salvation of souls. May St. Evermode keep us ever faithful to the spirit of St. Norbert. We ask this through Christ our Lord, Amen. This entry was posted in O.Praem Saints and Beati. Bookmark the permalink.